When I ask, what is the thing that you can think of about Japan, you might think of Mount Fuji. I guess most of you heard about it. It is one of the beautiful landscape that represent Japan. If you're visiting Japan anytime soon, don't forget to pay a visit to Mount Fuji. Trust me, it is totally worth it. For your info, Japan’s Mt. Fuji is an active volcano about 100 kilometers southwest of Tokyo. 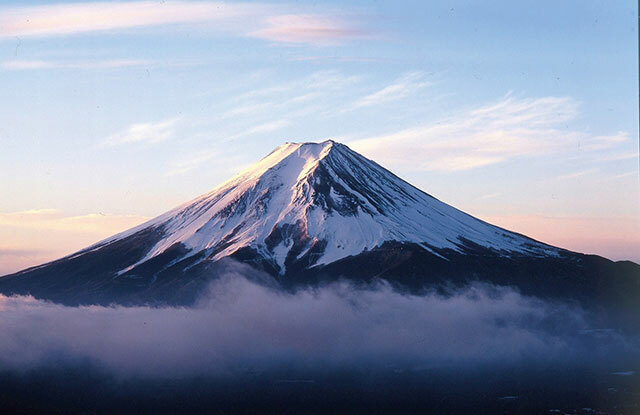 Commonly called “Fuji-san,” it’s the country’s tallest peak, at 3,776 meters. 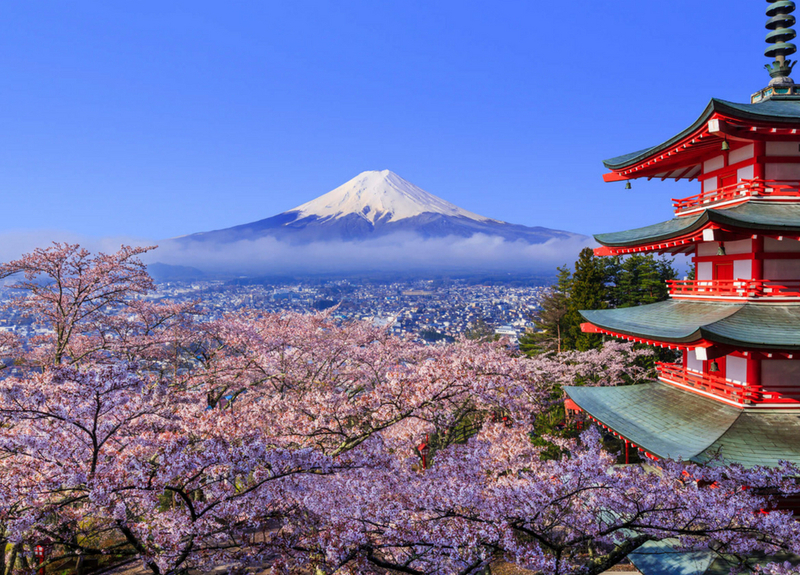 A pilgrimage sited for centuries, it’s considered one of Japan’s 3 sacred mountains and summit hikes remain a popular activity. Its iconic profile is the subject of numerous works of art, notably Edo Period prints by Hokusai and Hiroshige. 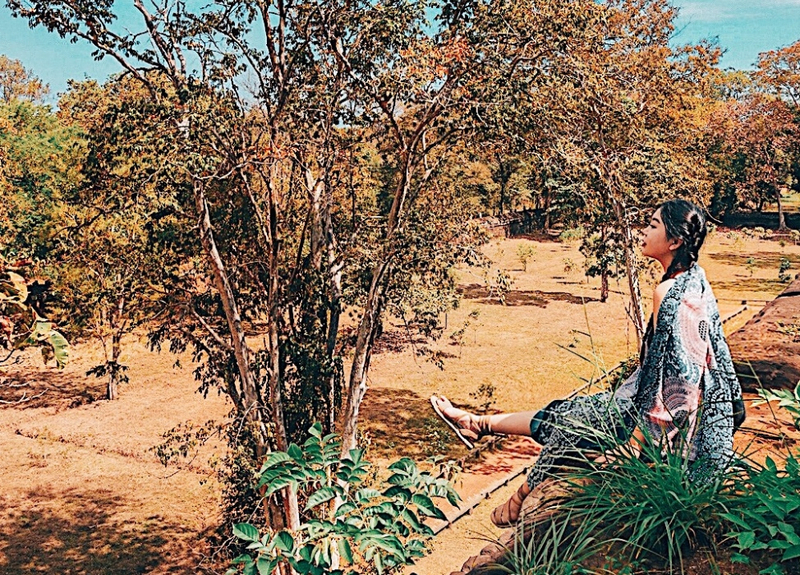 Moreover, situated just a two-hour bus ride from the country’s capital, it’s a doable journey to those seeking a weekend excursion away from Tokyo. How to get the view? Another easy way to view Mount Fuji is from the train of a trip between Tokyo and Osaka. Or, if you take the shinkansen (bullet train) from Tokyo in direction of Nagoya, Kyoto and Osaka, the best view of the mountain can be enjoyed from around Shin-Fuji Station on the right-hand side of the train, the duration is about 40-45 minutes into the journey. If you want to enjoy Mount Fuji at a more leisurely pace and from some nice natural surroundings, you should head to the Fuji Five Lake (Fujigoko) region at the northern foot of the mountain, or to Hakone, a nearby hot spring resort. My family and I visited there during Winter on few years back. Looking Mount Fuji covered with snow was amazing! We were keep saying what a spectacular view during the visit. We stayed one night at one of the hot spring resort to try the onsen. It was my first time for the onsen and I had a memorable experience with my siblings! Imagine you're enjoying the hot onsen while it was snowing. Mount Fuji is officially open for climbing during July and August via several routes. Since I went there with my family so climbing / hiking is not our thing. But if you're a hiker, you might want to challenge this beautiful mountain. Those seeking to summit Mount Fuji should keep in mind that the official climbing season lasts just over two months, from early July to mid-September. During these warm summer months, the mountain weather remains mild and there is little snow impeding your ascension. I would suggest to staying overnight at Mount Fuji instead of half-day or one day tour because one day is not enough for visiting. If you guys are interested in tours to Mount Fuji or other related tours, feel free to check out the Mount Fuji Tours of Tourist Japan. Mount fuji is really beautiful.. u r so lucky to travel so many places in japan... great journey! It's a beautiful view of this mountain but do not know when it's time to get there there are indeed ideals to vacation there. wah..nice place..nice your photo..rasa nak pergi je sekarang..hehe..you edit picture guna apa..
Yup, sometime need to depends on luck. Mount Fuji is such a magnificent beauty. In my Mom's hometown, there is a volcano named Mayon Volcano which is depicted as a sister of Mount Fuji, coz they have many similarities. OMG! So beautiful! I'm going to Japan soon! Haven't got a chance to set foot in Japan yet. If I ever find myself thee, Mt. Fuji is definitely on my list of attractions to visit. On day, I tell myself! You're inspiring me to work harder already. Eh, I thought last time you visited there during your Japan trip?